The CODARTfocus in conjunction with Dulwich Picture Gallery, London was held from 1-3 December 2013. Read the review by Henrietta Ward on the Dulwich website. Participants of this focus meeting will have the exclusive opportunity to study the collection of Dutch and Flemish masters at Dulwich Picture Gallery, including many works which are normally held in store or on long-term loan. On Monday 2 December the Gallery will be closed to the public, but exclusively open for us. Two guest curators of the Gallery, Michiel Jonker and Ellinoor Bergvelt, are in the final stages of compiling a complete catalogue of the Dutch and Flemish collection. They are looking forward to presenting the collection to you and cordially invite you to take part in an expert meeting in which we will discuss several ‘problematic’ research issues. 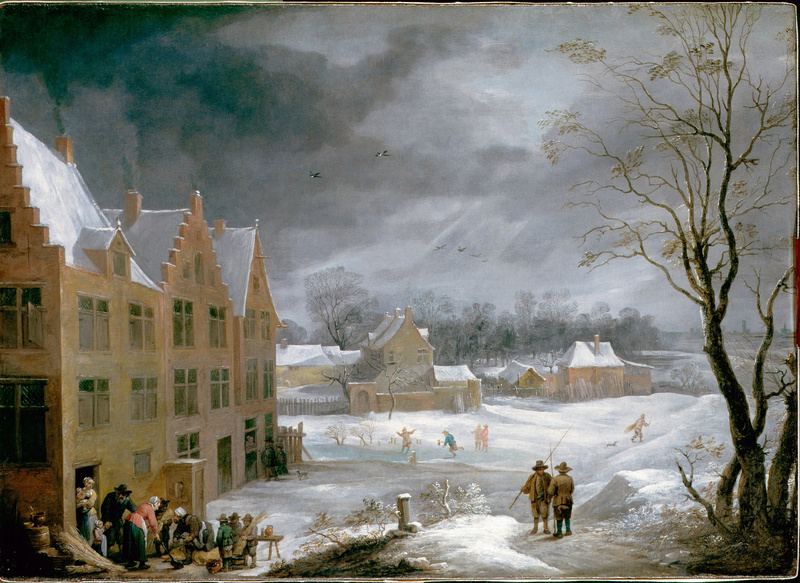 After the study day in Dulwich, we are invited by CODART Patron Johnny van Haeften to a cocktail party and private viewing of his Bi-annual Winter Exhibition of 17th-Century Dutch and Flemish Old Master Paintings. The CODARTfocus London will also include a special visit on Sunday 1 December to the private collection of Willem Baron van Dedem, and on Tuesday morning another CODART Patron, Georgina Wilsenach, has invited the group for morning coffee at Christie’s to view the December sale. For information about the program, the expert meeting, the visit to the private collection and registration, please follow the links in the sidebar on the right side of this page. Dulwich Picture Gallery London was founded in 1811 as England’s first purpose-built art gallery, and opened to the public in 1817 in a building designed by the architect Sir John Soane. Of the ca. 660 paintings in Dulwich Picture Gallery, some 215 originate from the Northern or Southern Netherlands. The collection was originally formed in the 17th century as part of Dulwich College, and although it consisted primarily of English portraits, it also contained Netherlandish landscapes, still lifes, and a number of history paintings. In 1811 the collection was greatly expanded by the painter Sir Francis Bourgeois’ bequest of some 370 old master paintings, the majority of which take pride of place in the Gallery today. Bourgeois had inherited many of these works from his business partner Noël Desenfans, who had been commissioned by King Stanislaus Poniatowski of Poland to form a collection of paintings for a new national museum in Poland. However, with the abdication of Stanislaus in 1795, the paintings were never to reach Poland and eventually made their way to Dulwich. Today the Gallery is home to one of the most important collection of 17th and 18th-century art in the world, including works by Rembrandt, Rubens, Van Dyck, Murillo, Watteau, Poussin, and most notably a large number of Italianate and other Dutch landscapes by painters including Cuyp, Wouwerman, Pynacker, Berchem, and Both.